2019 SOFTBALL REGISTRATION IS OPEN!!! We are starting a free agent team for the Super Saturdays division. You can register at www.GothamCitySports.com, select leagues, Super Saturdays and register as a free agent. 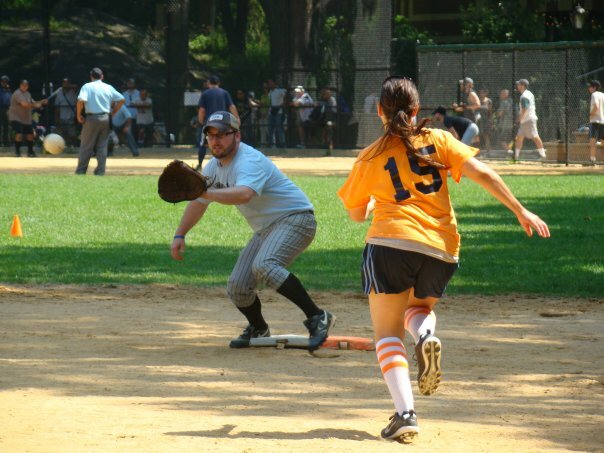 Games will start this Saturday April 13th for the Free Agent team with games being played in Central Park. If you are interested in playing, please register ASAP as there are limited openings. Feel free to email us with any questions. Registration for the 2019 Softball season is open!!! Please view the registrations links towards the left within leagues. For corporate events, outings and fundraisers please send an email (Info@GothamCitySports.com). We have assisted fortune 500 companies with their tournaments, outings and fundraisers. Out at first!!! Play ball.